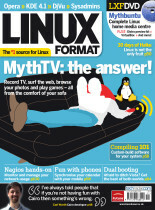 Issue 111 (November 2008) - MythTV: the answer! 30 days with Haiku: how is Linux's friendly competition progressing? 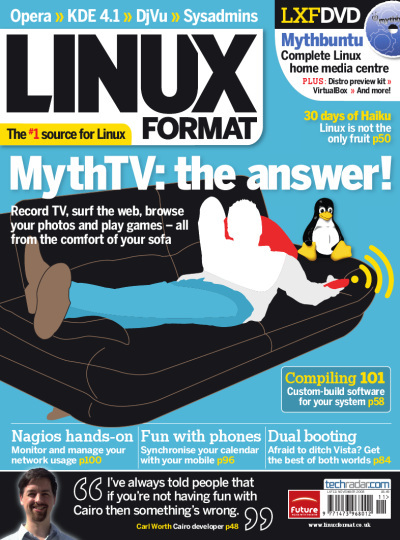 On the 4GB DVD: get a killer home entertainment system with Mythbuntu, and sample the latest distro development snapshots (VirtualBox included). Plus: Axigen mail server worth 150 Euros!